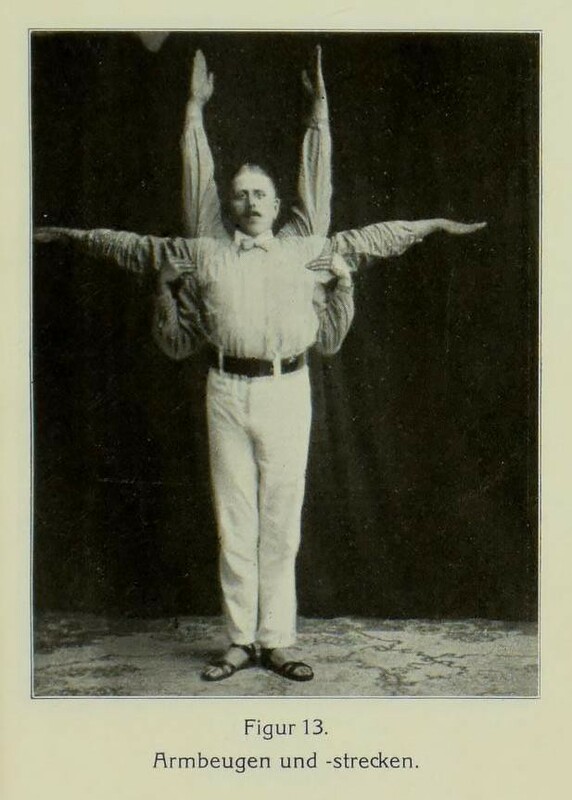 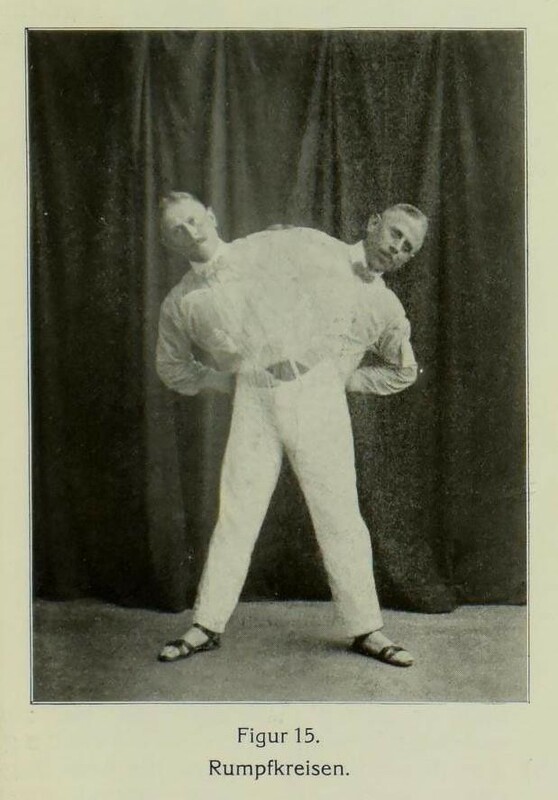 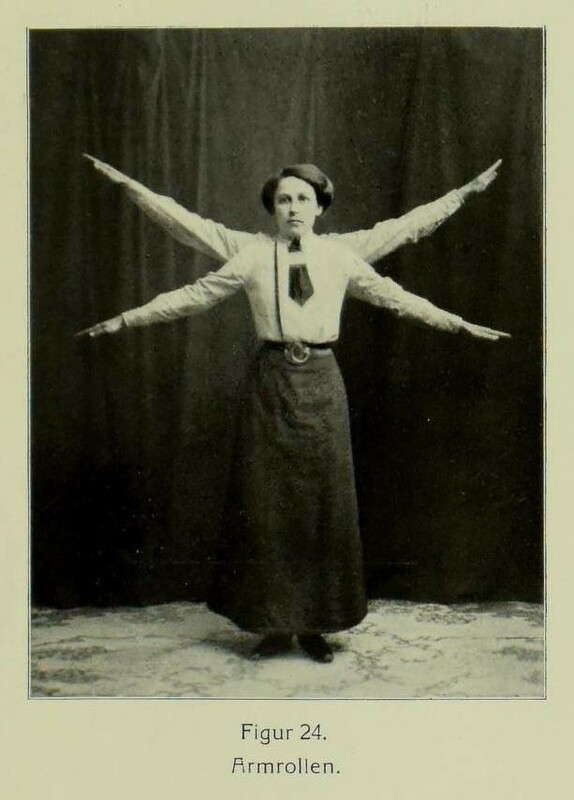 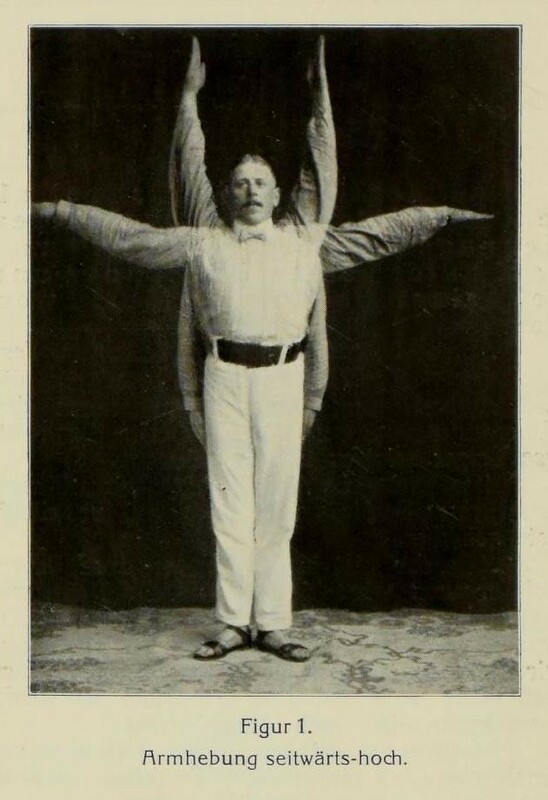 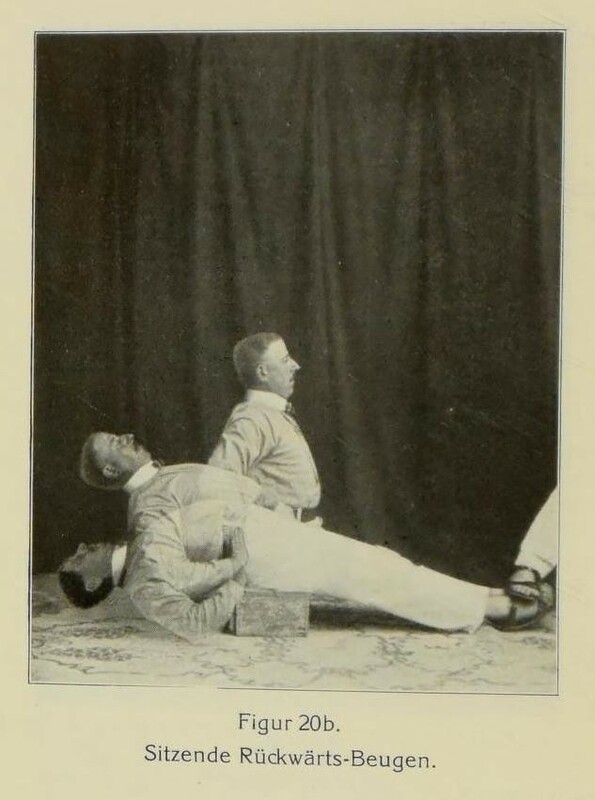 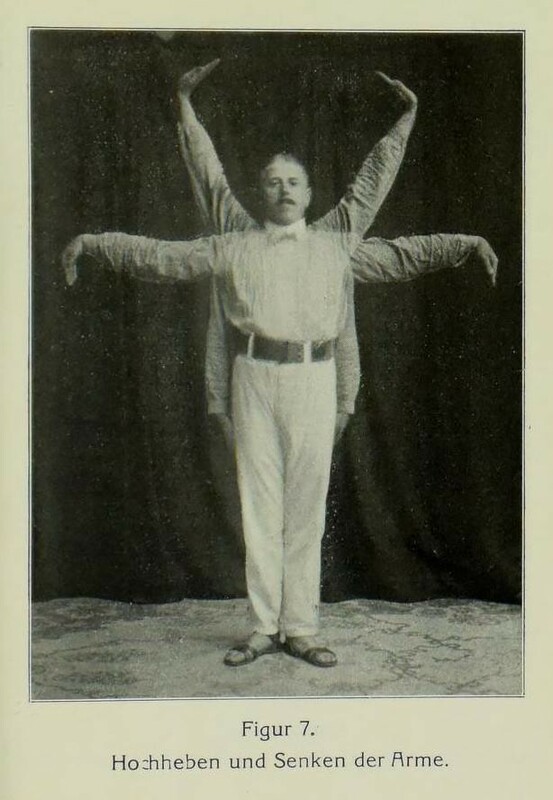 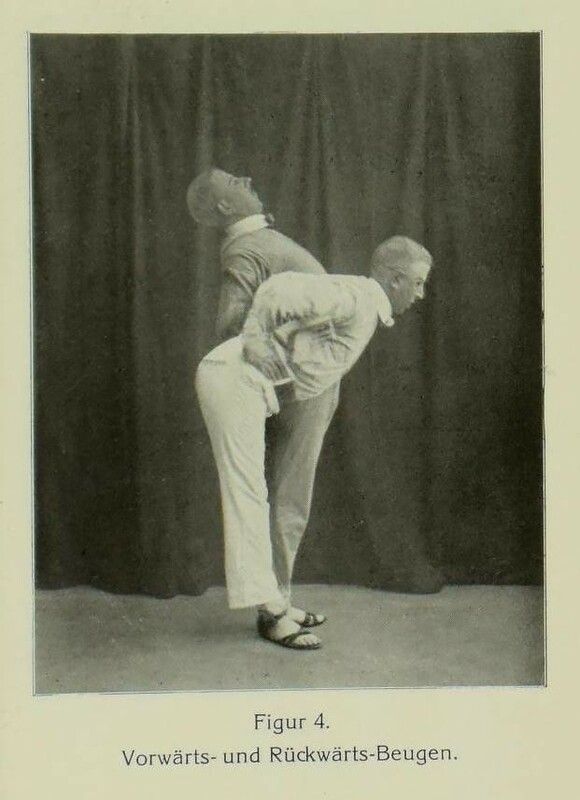 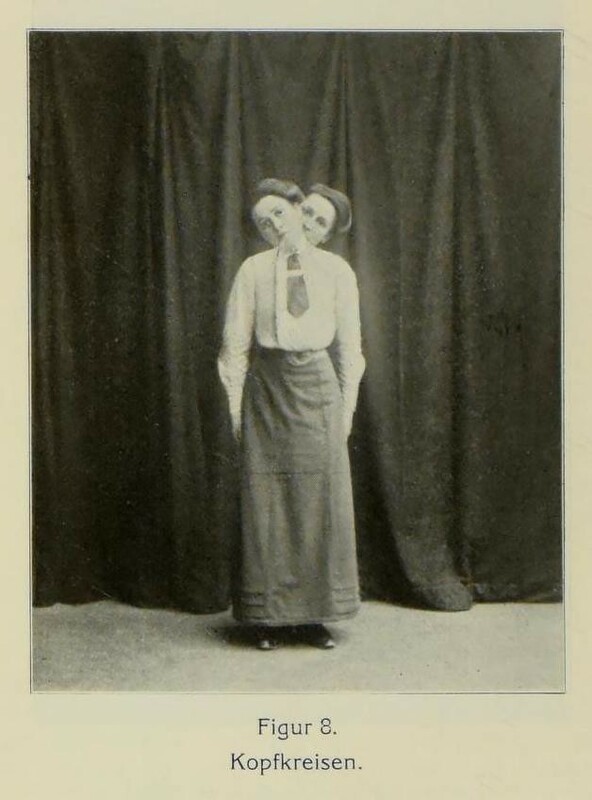 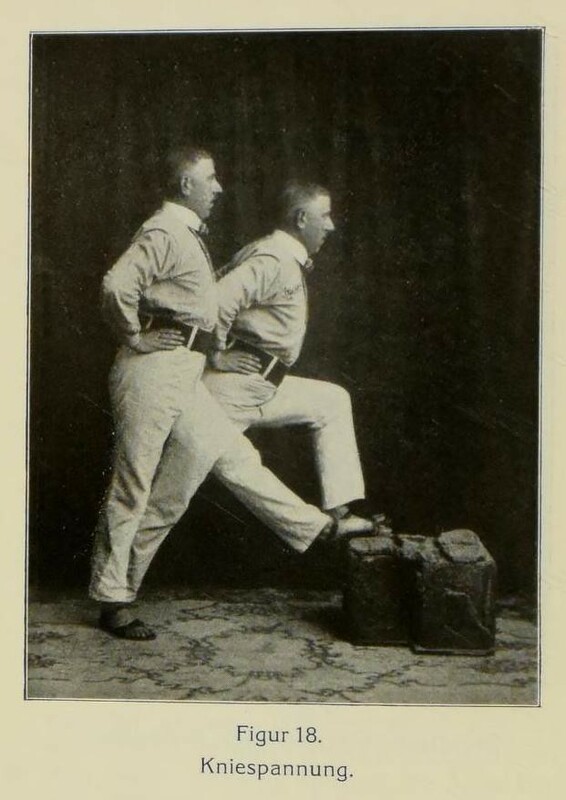 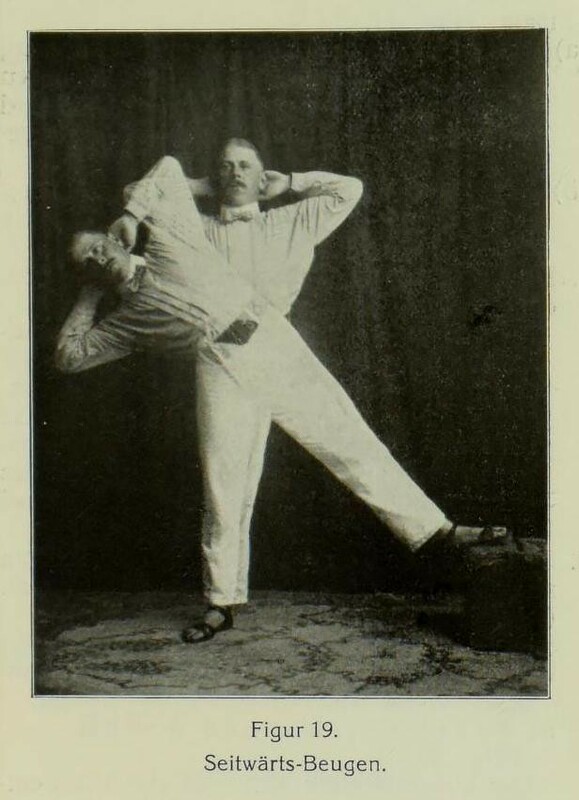 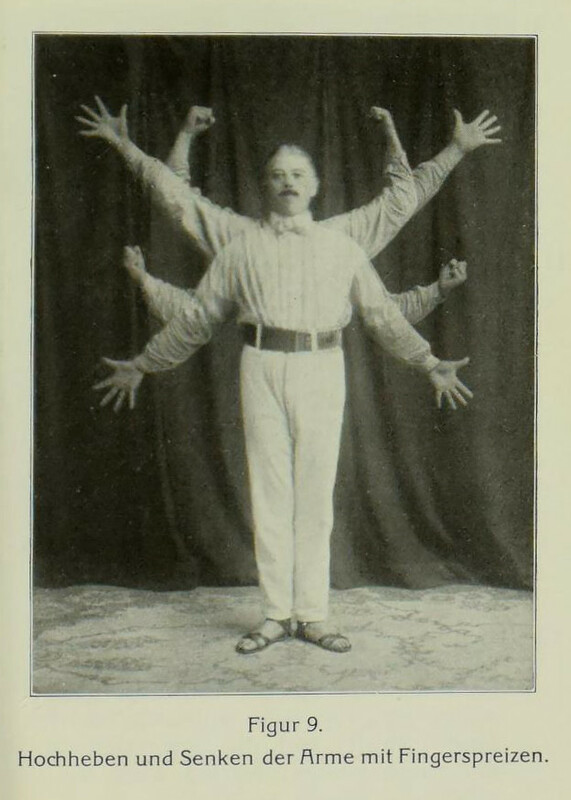 These wonderful photographs, which make such innovative use of multiple exposure, are from a 1913 German book titled Schwedische Haus-Gymnastik nach dem System P.H. 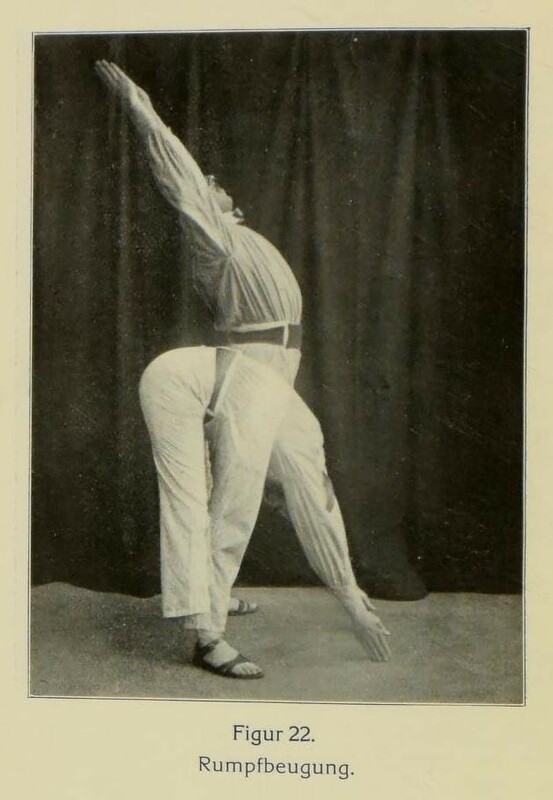 Ling’s by Theodor Bergquist, Director of the Swedish Gymnastic Institute in the Bavarian spa town of Bad Wörishofen. 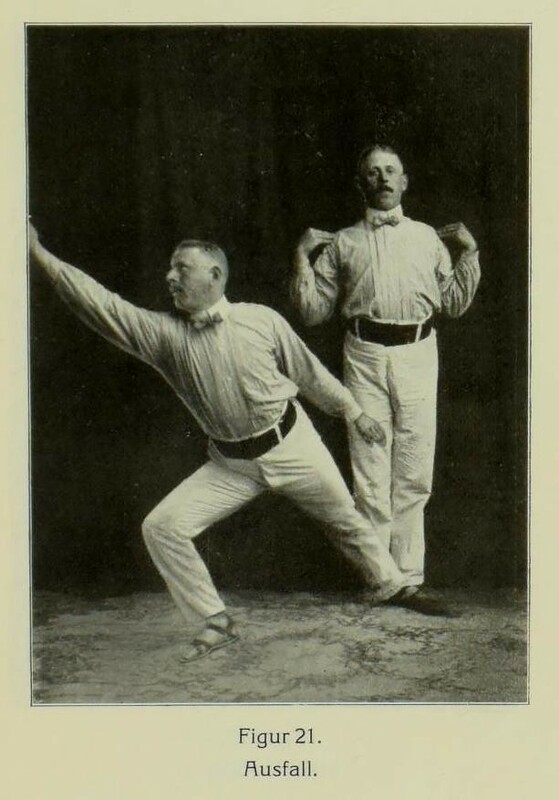 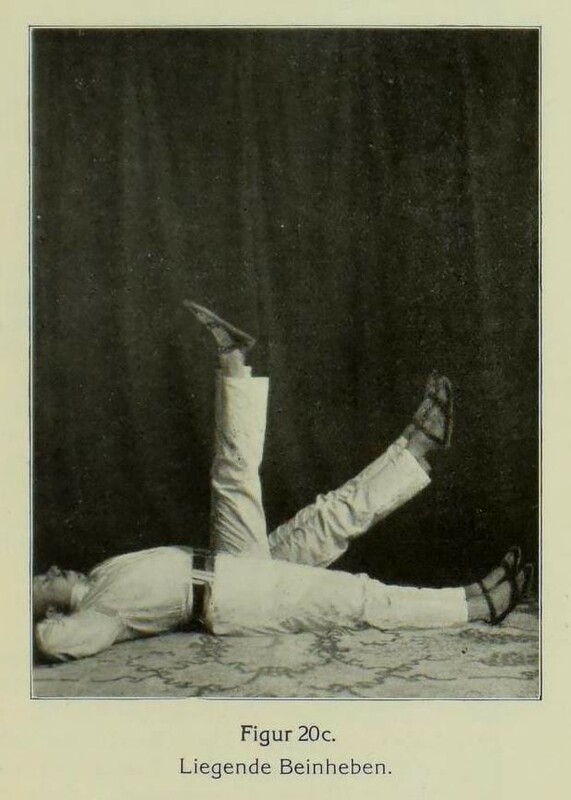 As the title tells us, this style of “Swedish house-gymnastics” demonstrated by Bergquist (and his mysterious female colleague) is based on a system developed by Pehr Henrik Ling (1776–1839), a pioneer in the teaching of physical education in Sweden. 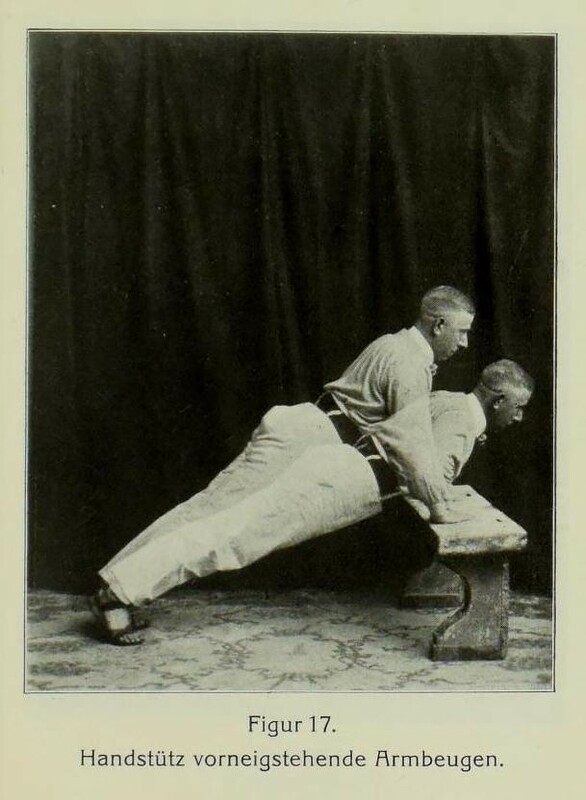 Inventor of various physical education apparatus including the box horse, wall bars, and beams, Ling is also credited with establishing calisthenics as a distinct discipline and is considered by some as the father of Swedish massage. 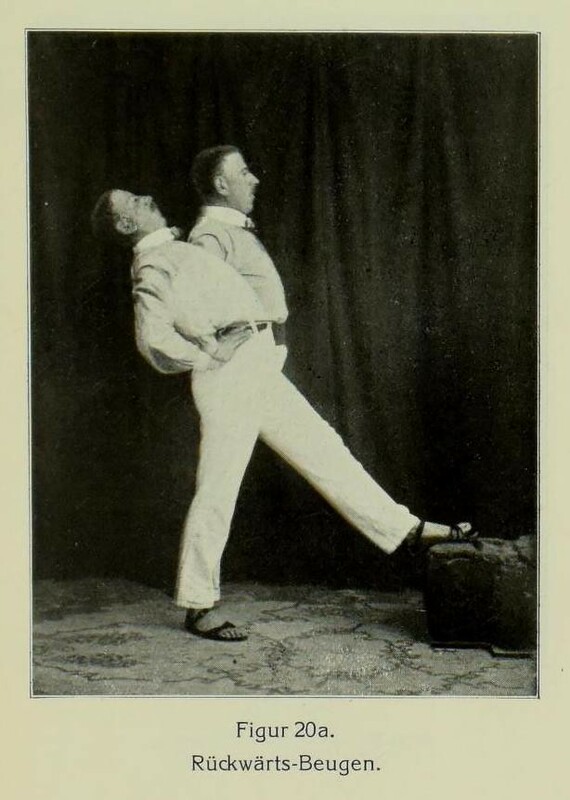 Right click on image, or see source for hi-res versions.